Halo 3, the highly anticipated first-person shooter action packed multi-player video game developed by Bungie Studios and available exclusively for Xbox 360 gaming console is the sequel to the best selling Xbox game Halo 2. Halo 3 videogame which is previously hoped by Bill Gates to be Sony PlayStation 3 (PS3) killer by “the day Sony launches PlayStation 3, they walk right into Halo 3.”, is scheduled to released in yet to be announced date in 2007. But Halo game series addicts and enthusiasts are invited to join public beta of Halo 3 in Spring 2007. Halo 3 beta will be opened for registration at halo3.com (beta has ended), and players and gamers from US, Europe and elsewhere on the world can log into the website join the unprecedented Halo 3 multiplayer public beta program. The Halo 3 beta invitations are likely to limited to a few select members, however, if anybody doesn’t manage to join or get in to the Halo3 beta via online registration, there will be numerous other opportunities to participate in the beta. 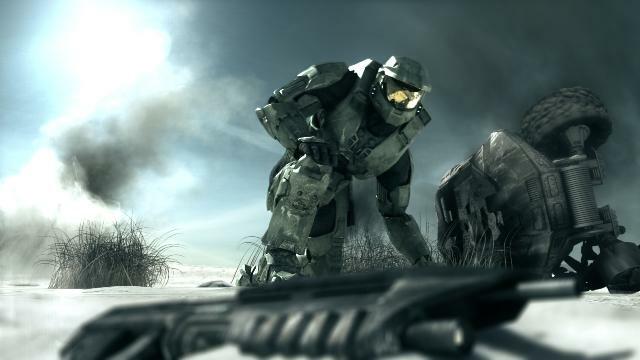 Still image captured from Halo 3 TV commercial trailer. Another 60-second Halo 3 live action gameplay and CGI footage with CG animation TV commercial ad trailer will be aired during ESPN’s Monday Night Football on December 4, between 5:50 and 6:20 PST. The trailer was created by Hollywood FX house Digital Domain using assets provided by Bungie. Update: More ways to join Halo 3 Beta.